Make your stay a magical experience. We pride ourselves on our local knowledge and there is nothing we enjoy more than making your stay in the mountains a magical experience. From simple key holding or the occasional guest meet and greets, right through to providing private chefs and ski instruction, our black book is full of the best local contacts and we are here to help you. Over the years of living here we have discovered many hidden gems that we are happy to share with you. From remote mountain restaurants to kid friendly action packed days out, we are happy to provide advice and assist your needs. If you are travelling to a birthday, wedding, anniversary or simply looking to make your holiday a unique experience, our Chamonix Concierge Service can tailor a package for your needs and budget. We can coordinate with you to facilitate your arrival at your property, arranging your transport with airport transfers, taxis or car hire. We offer a bespoke welcoming service, being there in person to welcome you on arrival. Guests will be met by one of our concierge team and introduced to the property. They will be made to feel welcome and have the key features of the property explained together with any house rules applicable. Our concierge will remain on call as a point of contact for the duration of the guest stay should this be required. Alternatively, a prearranged key box remote management system can be used to manage access to your property. Guests will liaise with our concierge team pre-arrival and receive details for accessing the property via a key box system. Key features of the property and house rules will be explained and they will likewise remain on call as a point of contact for the duration of the guest stay should this be required. Arrive to an aperitif consisting of local charcuterie, cheese and bread. Failing that, try a selection of home-made canapés provided by one of our private chefs. It is important to maintain an accurate record of the condition of a property prior to any guest stay. Our team are proficient in undertaking inventories and conditions reports prior to guest arrival which helps to ensure the properties are kept in pristine condition. As parents, we understand that sometimes you need time and space for yourselves. We work with great childminders and nanny services in the region and are happy to share these contacts. We offer a full cleaning and change-over service and have an exceptional service track record with many of the properties under our management receiving 5 star reviews for cleanliness and service levels. Our team can organise your travel arrangements to and from resort should you require. We work with the leading transfer providers and taxi operators in the region, offering seamless transport solutions for all your requirements. If you need transport in resort without the stress of driving in snow and ice, we can arrange this for you. We work with taxi operators in the region, offering seamless transport solutions for all your requirements. For larger groups or special occasions, why not treat yourself to a private chef? We have a fantastic portfolio of local chefs that can make your stay even more special. Enjoy the local delicacies and exquisite cuisine in the comfort of your own dwelling. Breakfast is the most important meal of the day but can be overlooked in the rush to hit the slopes. From a simple croissant and baguette drop off to a fully cooked traditional French or English breakfast, we can organise this for you to keep you well fuelled for the day ahead. Let us treat you in the comfort of your second home with massages and beauty treatments. 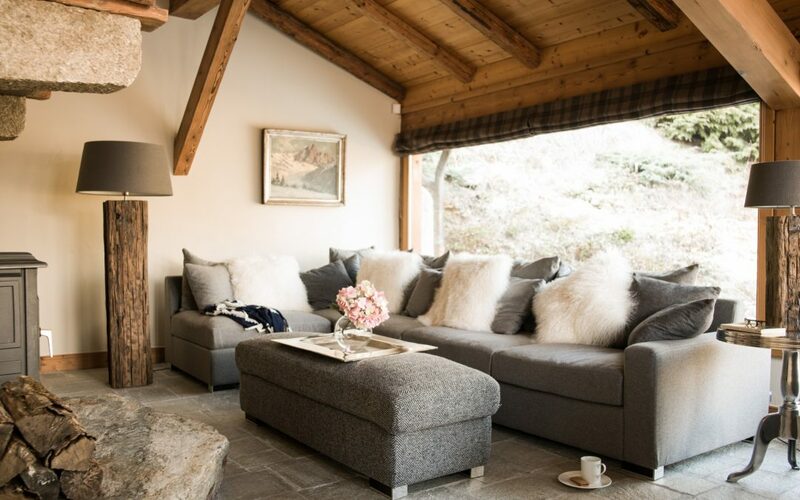 After a hard day on the slopes or a pick-me up for non-skiers we can arrange these services on your behalf to help you achieve true tranquillity during your stay in the mountains. C’est la France! There are so many wines to be tasted and there’s no better time to do this than whilst relaxing in the mountains. We work in collaboration with some great stockists and wine professionals that can propose you a selection of wines for your taste and budget. Something to celebrate? Our team can help you make this moment magical and unique. We can draw on our full range of contacts and organisational expertise to achieve stunning effects, with the minimum of hassle. Get your holiday off to a flying start and avoid the queues. We can pre-order your lift passes and arrange for them to be ready for your arrival. If you’re in town to ski, make sure you don’t waste any time in getting started. Ensure you are always first at the slopes. Our extensive network of snow clearers will ensure your driveway remains clean and accessible even after the heaviest of snowfall. What is the difference between your service plans? All management plans allow you access to the same pool of services but the key difference is how many hours of work are allocated. How much management time you need to organise and manage your requirements will depend on your property and use of it. For smaller or less complicated properties, less management time is usually required. Conversely, larger properties tend to require more time as more things need organising and some tasks take longer to carry out. We always ensure that our complete customer portfolio receives a consistent high level of service no matter what plan you choose, so you can rest assured that we will give your property the attention it deserves on any plan. Our higher end plans enable us to combine a larger number of services and carry out work more efficiently which enables us to offer cheaper and more attractive hourly rates. I want to rent my property. Can Pangea market my home and find bookings for me? We can help with the guest management of your rentals, such as meet & greet, linen, changeovers and guest concierge management but we are not a rental agency so we do not find people to rent your property from you. If you wish to take the bookings yourself either via your own website, Air bnb, holiday rentals or one of our partner rental agencies we are very happy to take it from there. I want to rent out my property. Which service plan is the most appropriate for me? This depends on the volume of rentals you are targeting. We would typically advise a Gold plan to be undertaken as it offers you a reduced rate of 37.50€/hr for the first 4 hours. These hours can be used towards meet & greet for your guests, changeover services, linen handling or inventory control. Very simply: All management tasks carried out by the Pangea team come out of your management plan. Any additional hours of management are charged at a rate of €50 per hour. All third-party services that are not carried out by the Pangea management team (such as cleaning, linen rental, specialized workman, etc.) are charged in addition to your management plan at cost price. What type of concierge services can you organize for me and my family or group? We can sort out any kind of local activities for you, from the adventurous to the intensely relaxing. We can arrange ski instructors, mountain guides, in-house chefs for breakfast, lunch and dinners, transfers both in-resort or to other ski resorts, restaurant reservations, meal deliveries, cakes for birthdays, climbing trips, guides and instructors, Vallee Blanche skiing, Mountain Guided hikes, canyoning, wine tasting and delivery, babysitters (either full days or evenings), housekeeping, in-house massages or beauticians, DJs, party decorations... the list goes on. Just ask and we can make it happen. How long in advance do I need to book my concierge services in Chamonix? The sooner the better, as the best suppliers get booked up well in advance. However, we will always try to accommodate last minute requests to the best of our capacities. Our local knowledge and connections mean we may be able to find suitable alternatives if the obvious choices are no longer available. How much does your concierge service cost? We generally recommend that our concierge service is covered by one of our service packages as it varies depending on your requirements. We will always provide you with a fee proposal for our management services, with third party expenses being charged at cost price. Are your concierge services only available to luxury homes & holidays? Not at all. We will always do what can to support anyone staying at a property that is being managed by us. All our services can be made available to our owners and their guests, to facilitate your independent stay, or to take on a number of the menial tasks on your behalf. All our clients are equally important to us so if we can help enhance your experience we will do everything in our capacity to do so.